I was so excited when I saw this on the shelf. Sarsaparilla! Vanilla! Cider! So many things I love all in one bottle! Having picked it up at the same time as Crispin’s Venus Reigns, I couldn’t decide which of the two looked more promising. All of which is by way of saying: this was not the life-changing experience I’d built up in my head. Much like ciders I’ve had with maple, there’s something about certain flavors that I expect to be at least a little sweet, and dry ciders like this one which disconnect the flavor from the sweetness are somehow disorienting. As you might expect, the aroma has that characteristic root beer aspect, though it’s quite light, and it pours the kind of tall, foamy head you get from root beers. The Washboard does have an easy smoothness to it from the vanilla, alongside the spice of the sarsaparilla, and at 5.5% ABV it’s mild as ciders go. I’m sure that this is right up the alley of some folks, and I still think the idea of a sarsaparilla vanilla cider holds promise — this just isn’t the execution that works for me. You can locate some Sonoma Cider for yourself on their website. Posted in Cider. Tagged 350mL, limited release, sonoma cider, the washboard. IT’S HERE! After the months and months of longing and searching since the Seattle Cider Summit, I finally found some Pacific Pear on shelves — at Bartell’s, of all places. And to my great delight, it is entirely as delicious as I remember. Pacific Pear is made entirely from pear juice, not a mix of apple and pear juice as many perries are, and it really shows. Its aroma is cool and flowery and sweet but not cloying, the pear notes immediately distinct, and in the glass it’s a very clear, very pale yellow. The taste of this cider is a glorious pear explosion, bursting on your tongue and all through your mouth. In addition to the pure-pear-juice composition, the low alcohol content (only 4.5% ABV) also leaves much of the fruit sweetness intact. This is a sweet cider, of that there’s no question, but it’s light and refreshing rather than heavy or syrupy. 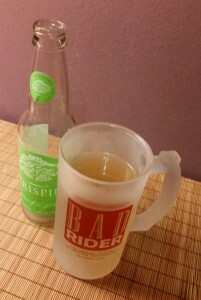 To be clear: though I know it can’t be to everyone’s taste, I recommend this cider really without reservation. I loved it when I tried it at the Summit, I love it today, and now that it’s shown up on store shelves near me I look forward to loving it on a regular basis in the future. Run, don’t walk, to locate some for yourself on Crispin’s website here. Posted in Cider. Tagged 350mL, crispin cider, pacific pear, pear ciders. 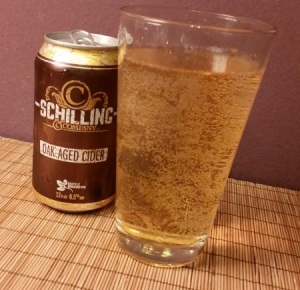 For Thanksgiving, I bring you all one of my favorite ciders: Schilling’s Oak-Aged. The very first time I tried Schilling’s Oak-Aged it went straight to my go-to list. 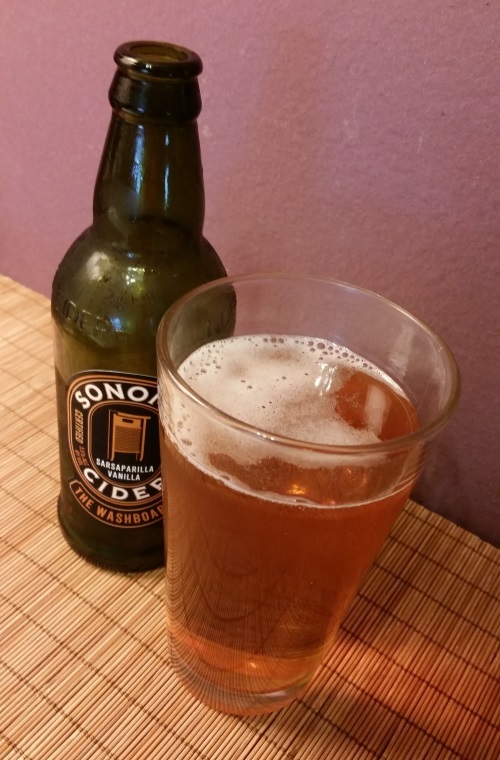 It’s a mellow and easy-drinking cider, with a distinctive taste, at a reasonable price, from a local cidery. What more could a cider drinker ask for? The aroma is sweet and spicy, more pepper and cinnamon than apple, with a kind of burnt, nutty smell following behind. It’s a clear, pale gold and 6.5% ABV. I definitely think this is a cider that would pair well with a wide variety of meals; I’ve had it on its own as well as with meals from sandwiches to sushi. Schilling’s Oak-Aged is absolutely my favorite Schilling cider of their offerings I’ve tried thus far — sometimes they tend to go a little strong for regular drinking for my taste (as in their Chai Spice and Grapefruit ciders), but it’s hard to go wrong with the Oak-Aged. Track yourself down some Schilling here, and don’t hesitate to check out some of their other flavors as well. Posted in Cider. Tagged 350mL, barrel-aged, oak-aged, schilling cider.